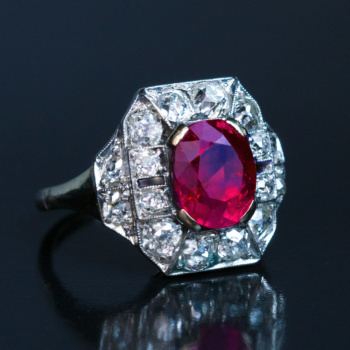 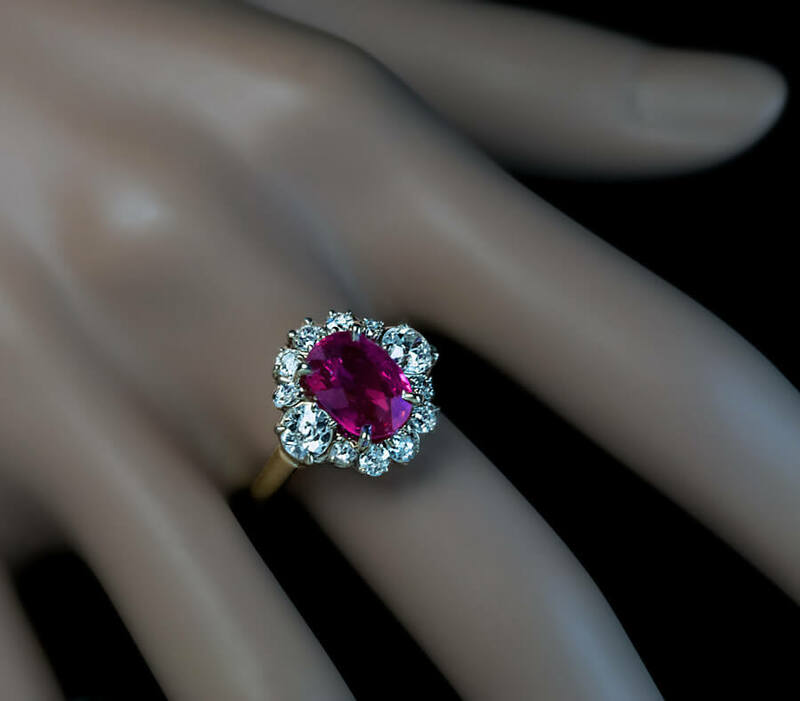 A vintage silver topped 18K gold ring is centered with an oval natural unheated pink-red 2.71 ct ruby from Burma (Myanmar). 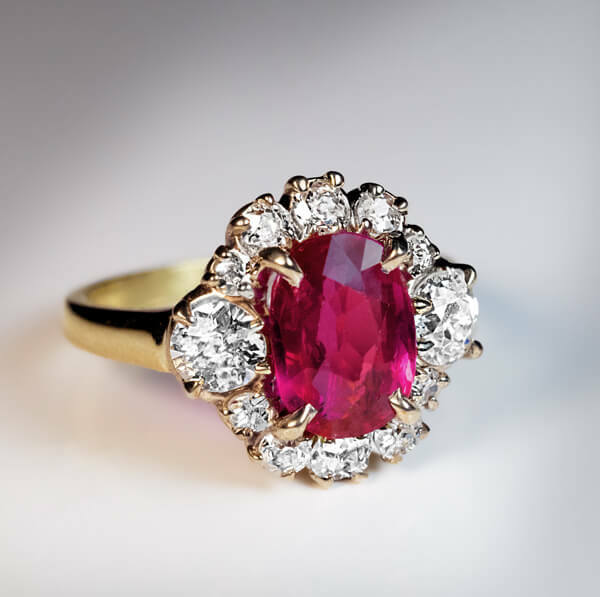 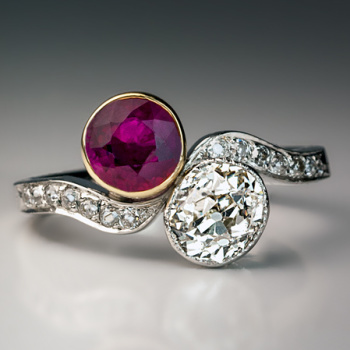 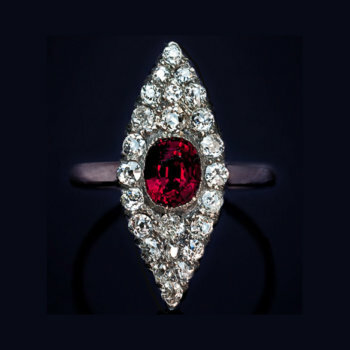 The ruby is framed by bright white (F-G color) old mine cut diamonds (estimated total weight 1.25 ct). 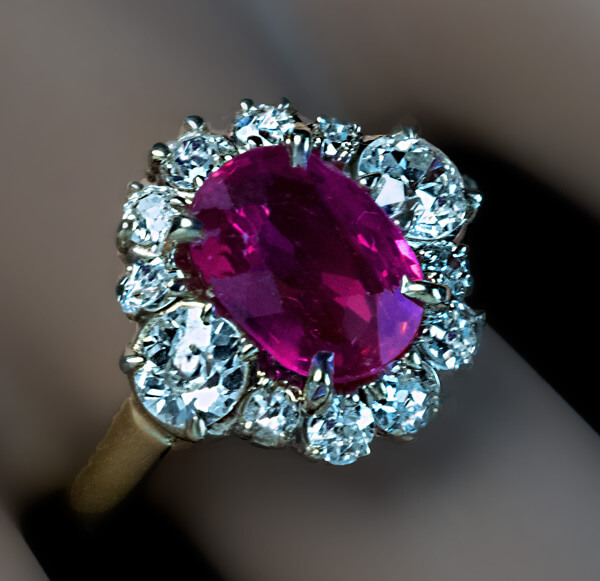 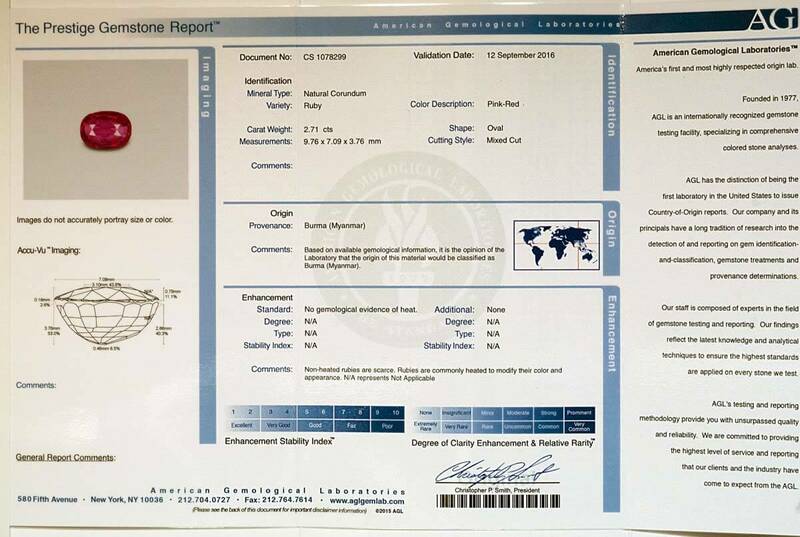 One oval mixed cut natural ruby 2.71 ct, 9.76 x 7.09 x 3.76 mm. 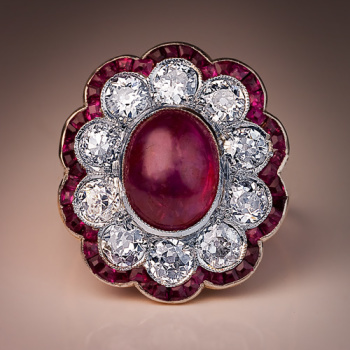 Untreated non heated Burmese rubies over 2 carats are very rare. 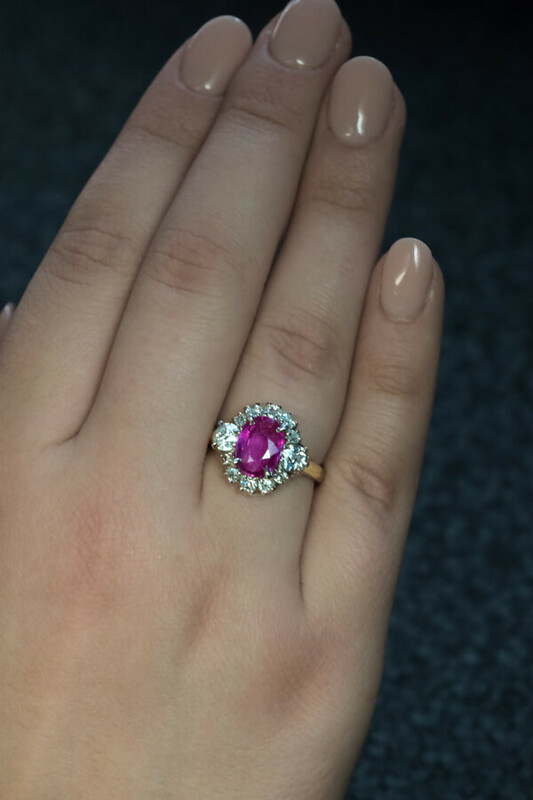 Ring size 7 (17 mm) sizable.